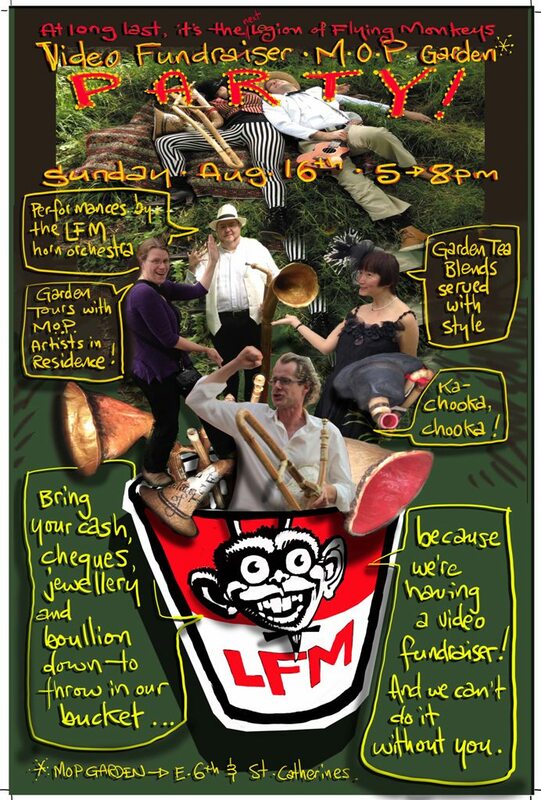 If you can find your way to East 6th and St. Catherines (Vancouver) tomorrow at 5pm, you really should. Why? Because Summer is fleeting, the garden is wonderfully fecund, and the next time the LFM will play in town, it’ll be November. There are few experiences in the city compared to participating in a singalong at the MOP Garden tucked away in the shade of the Hillside Amphitheatre. With each passing year the garden grows a touch more interesting, the woven willow trees thicken, the pathways settle into common use and become favourite hideaways for locals, our secret in Mount Pleasant. So before the rains return, the leaves drop and the monkeys skip town, you’ve got one last chance to join us. Don’t say I didn’t invite you.